If you're in between sizes, we recommend ordering up. The fabric doesn't stretch. 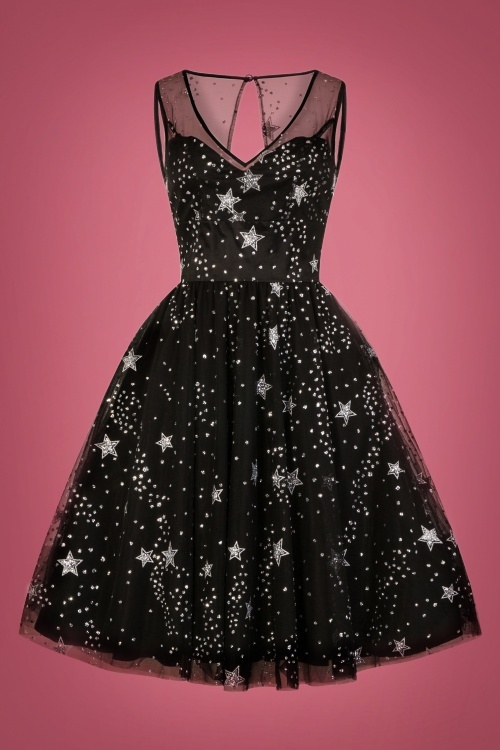 "Shine bright like a diamond in the sky" in this 50s Cosmic Love Dress in Black! 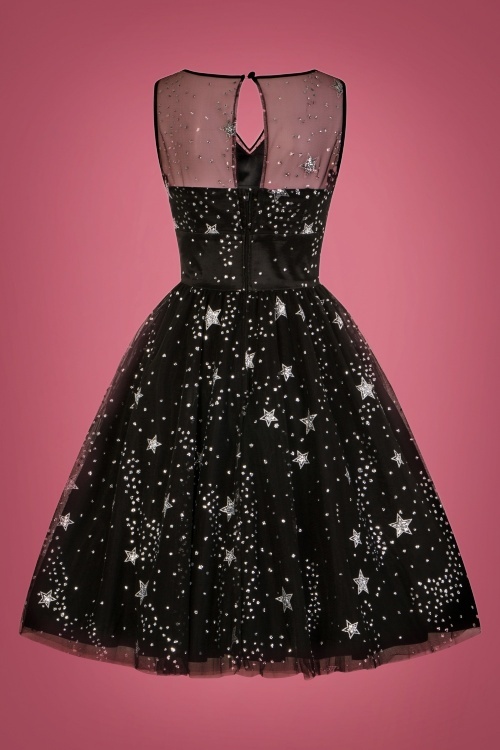 This stunner comes in multiple layers of tulle, embellished with sparkly, silver toned stars, creating an enchantingly beautiful effect ;-) Besides the amazing print, the fitted bodice features a romantic sweetheart neckline and a keyhole at the back. She flows from the waist down into a gorgeous full swing skirt for a super feminine silhouette. 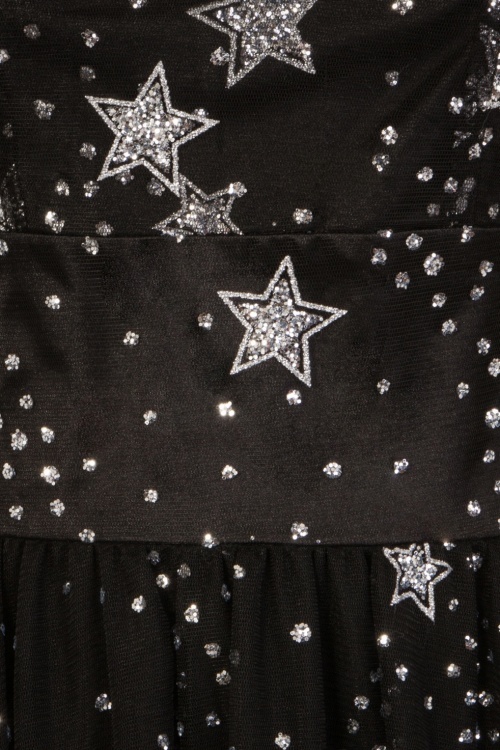 Made of a black semi-sheer fabric, featuring a shiny black underskirt to ensure nothing shows through. Overdressed? Darling... glitter is my basic!